Explanation: A Full Moon rising can be a dramatic celestial sight, and Full Moons can have many names. For example, tonight's Full Moon, the one nearest the autumnal equinox in the northern hemisphere, is popularly called the Harvest Moon. According to lore the name is a fitting one because farmers could work late into the night at the end of the growing season harvesting crops by moonlight. In the same traditions, the Full Moon following the Harvest Moon is the Hunter's Moon. 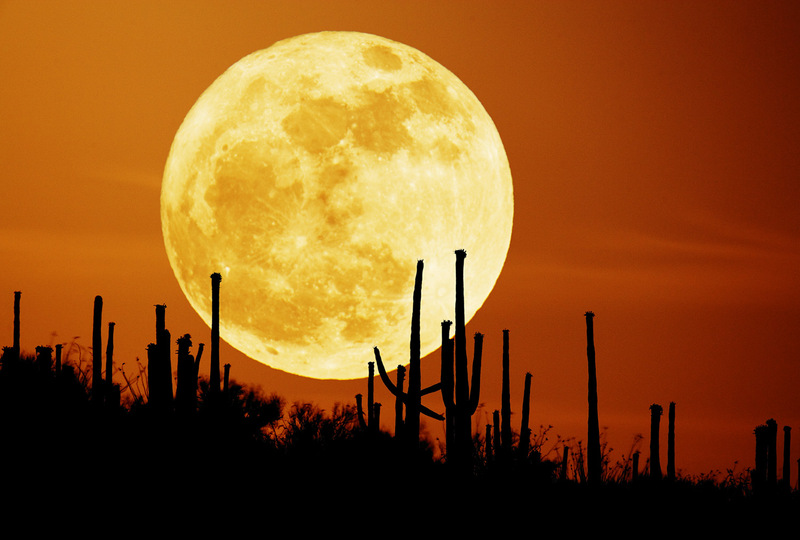 But, recorded on a trip to the American southwest, this contribution to compelling images of moonrise is appropriately titled Saguaro Moon.